Author Aric Davis returns to his roots in Tunnel Vision — writing the next chapter in the life of his preteen-now-teen protagonist who grows marijuana, blackmails pedophiles, and works as a back alley private investigator to make ends meet. Think of him, Nickel, as an anti-hero for young adults. He is a kid who escaped horribly abusive foster parents after getting caught up in the cracks of the system. Nickel isn't his real name, which is a composite of Nick and Eleanor. He created it to remind himself of two foster kids he helped save, something to soften his hard edges as he is no saint, sort of. 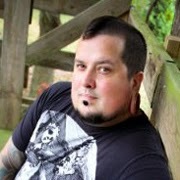 Author Aric Davis created Nickel during a dark time in his own life, shortly after three members of his wife's family were killed by a drunk driver. Since he couldn't exact revenge on the driver himself, he created a character who, despite his age, would be willing to take them on instead. 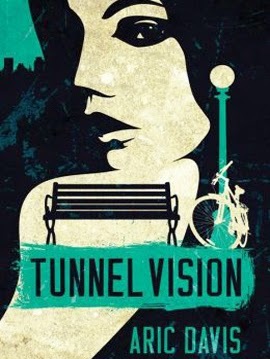 Tunnel Vision is a tautly written teen crime fiction. While the book has been billed as a hard-boiled crime mystery, the descriptor is better left to Nickel Plated, which was his debut. Tunnel Vision is much more linear in its presentation and Nickel feels significantly softer — not harder — despite the terrible things he has done to some very, very bad people. He is surprisingly well adjusted and his home utterly unscathed since his recent detention. He shares this story with two teenage girls, Betty and June, who are at the heart of what becomes a new case for Nickel. No, they don't hire him to solve the 15-year-old murder of Mandy Reasoner. The victim's sister, who also happens to be June's mother, Claire, hires him. But what she doesn't know is that Betty and June have taken on the same case after Betty accidentally discovers a connection. That connection is Duke Barnes, the man who was convicted of the murder 15 years ago after he confessed to the crime. After the conviction he didn't think would stick, he retracted his statement as made under duress and other inconsistencies in the case came to light. The combination landed like a one-two punch, sparking a "Free Duke Barnes" campaign, which has since grown into a blaze among the Michigan punk rock crowd that he and Mandy used to be members of before becoming junkies. While Betty and June take it upon themselves to discover why her family has kept the murder a secret all these years, Nickel is also digging around to discover whether or not Barnes is guilty or innocent. His reasons are a bit different than the two girls. Claire hired Nickel to protect June, who bears a striking resemblance to Mandy, in the event the real killer is still at large or Barnes is guilty but freed. The story is so straightforward that it could almost be classified as an amateur private investigator procedural with a budding but almost unbelievable teen romance baked in for good measure. With the girls not all that likable as borderline ditzy punk girls (one of whom drones on and on about being in a two-mom household) and Nickel in mid-transition between bad boy and dark knight, it feels like a holdover for Nickel Plated fans but a pullback from the author's other work. 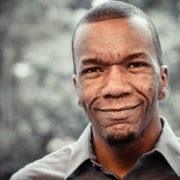 A quick recap on the career of author Aric Davis. Aric Davis is former tattoo artist and body piercer who began writing his second novel, Nickel Plated, in the back of a tattoo shop between customers. His second and arguably best work, A Good And Useful Hurt, helped him become a full-time writer who took readers on an adventurous revenge story in Rough Men and a haunting abduction story in The Fort. Tunnel Vision brings Davis full circle with tighter, choppier prose but with seemingly less grit than his earlier work. While it would probably be worthwhile to read Nickel Plated before Tunnel Vision, the new installment is still an interesting outtake in the author's career. He lives in Grand Rapids, Michigan. Tunnel Vision by Aric Davis Closes In At 5.1 On The Liquid Hip Richter Scale. Tunnel Vision is entertaining, especially for those who already have an affinity for Nickel and want to see him develop into a bad boy private investigator series. It's both plausable and possible, provided Davis remembers to keep the cards closer to his vest as his stories play out, that his more laborious moments aren't as obvious, and that Nickel doesn't become too settled at the expense of conflict. You can find Tunnel Vision by Aric Davis on Amazon or download it as a bargin audiobook from iTunes. 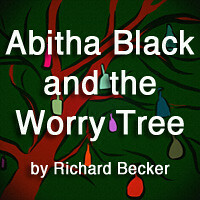 The audio version is narrated by Mick Podehl, Kate Rudd, and Amy McFadden. The three voices help differentiate three distinct points of view: the first-person account from Nickel, third- person account from Betty, and the diary entries of Mandy. You can also find Tunnel Vision at Barnes & Noble. The magnetically mellow album Moorish Highway has been making the rounds and for good reason. 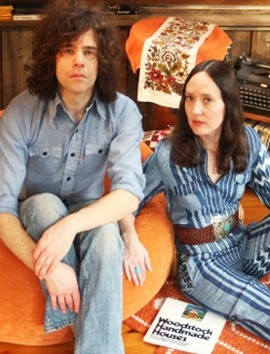 The folk-rock duo consisting of Anne Cunningham and David Lerner has folded together folk rock/pop and country warmth with a small group of backing musicians to open up their compositions. What hasn't changed is that the duo still builds its music around Cunningham's wispy vocals with Lerner lending his own for contrasting lows. They then back their harmonies with a bed of drifter-tinged instrumentals that sometimes include a 12 string, pedal steel, and harmonica. Backing members this time out include drummer Otto Hauser (Vetiver), guitarist Kevin Barker (Joanna Newsom), bassist James Preston (Zachery Cale), and pedal steel guitarist Marc Orleans (D. Charles Speer and the Helix). And i its this accompaniment that allows the two multi-instrumentalists to focus on acoustic instrumentation, incorporating their harmonium, finger-style guitar, and close harmony dual vocals. Moorish Highway drifts along in blissful solitude. Although Trummors has recently relocated again — this time to Taos, New Mexico — the duo retained their Woodstock/Brooklyn roots by recording at the Drawing Room in Kingston, New York, with Justin Rice (Bishop Allen) producing and Eli Walker (Isokon in Woodstock, New York) mixing. The band credits the more earthy and a slightly psychedelic filter of the '70s to the change in scenery. Take a song like the album opener Vigil, which came about after an unfortunate late night altercation with a highway trooper, and you'll discover an intricate understanding about seeing things in retrospect. Their first thought is that they were wronged by the cops. Their second is appreciating they weren't saints either and maybe the whole thing could have been avoided. It's this kind of karmic wisdom that Trummors enjoys weaving into its 11-track lineup. And, in this case, knowing the back story behind the track makes the tune even more engrossing as a casually told roadside classic. The band follows up the opener with Bogus Bruce, a track that reimagines a rolling two-chord rhythm of Belle and Sebastian to tell a folk story about a gracefully aging junk store patron. And then it picks up the tempo with a Beatlesque playfulness that falls slightly short as the vocal variation isn't as strong as the increasingly dynamic instrumentals. The fourth track solidifies Trummors in its reverence for Gordon Lightfoot. Their cover of Early Morning Rain recasts the punchy country classic as a subdued and sorrowful country-informed folk confessional. It feels like another side of the late 60s and early 70s. Branches Divide makes for an exquisite follower. Other standouts include Autumn Gold and Pessimistic Bluebird, which both bring in Britain's influences on the American singer-songwriter scene several decades ago. On both occasions, Trummors wears its influences proudly but perhaps not as obviously as they do on the 6-minute title track Moorish Highway. There will be more than one moment that leaves you wanting to name that tune. While there are a couple of misses on Moorish Highway, the album makes for a memorable change of pace for anyone who appreciates something more eclectic in their musical lineup. For the duo, the addition of a backing band makes for a solid progression in their ability to capture attention and hold it as they navigate the golden years of contemplative singer-songwriter folk rock. Morrish Highway By Trummors Drives 5.4 On The Liquid Hip Ricther Scale. The duo recently finished up a short 8-day tour earlier in October along the West Coast and including Colorado, Arizona, and their new home of New Mexico with Bishop Allen. The name of the band, Trummor, is Swedish for drummers — an interesting choice given the landscape there matches a few opens expances in the United States too. You can find Moorish Highway by Trummors on Amazon. You can also download the album from iTunes or pick up the vinyl release at a discount from FYE. For future tour dates (hopefully some that won't include getting robbed) visit the band on Facebook. They post plenty of road-tripping photos and the occasional story. There an abundance of source material for the duo that has been increaisngly trying to live they way they play. Cool. As a solo artist or talented collaborator, Mark Lanegan continues to expand his career into something colossal. His near back-to-back releases — Phantom Radio and No Bells On Sunday EP — prove once again that his esoteric talents are meant to transverse the musical landscape. He is an explorer. Building upon his last release, Blues Funeral, Lanegan captures even more from the music he loves and then finds original ways to convey it within his own compositions. This, more than anything else, is driving him to experiment across a broader body of work. Anything new is part of his passion. If anything else stands out on Phantom Radio and the accompanying EP (which was added to the deluxe edition of the LP), it's that Lanegan is comfortable with where he is in life and in his musical career. He doesn't have anything to prove anymore, freeing his creative spirit in the process. Phantom Radio is every bit an addiction. If you think of every track as a fine dining experience condensed down into a hard-worked meal by a short order cook, you're one step closer to understanding the accomplishment here. Opening with Harvest Home, Lanegan shares exactly where he is on an album that pulls in British post-punk, world-weary Americana folk rock, and 1980s satellite music. At times, the combination electrifies. After the opener, Lanegan immediately shifts gears in the second track and takes a much more minimalistic approach to intone the end of times. It's something not everyone will appreciate. Although not religious himself, Lanegan nearly whispers the vision against a faint and repressive acoustic strum that provides the thinnest of foundations. Where it works is in his ability to infuse acceptance within the dread of it, delivered in a package that comes close to near nothingness. He does something similar with I Am The Wolf, crafting a minimalistic interpretation that grasps at finding some wisdom in a world that he will one day leave behind. While the album version is richer, the grizzled feel comes across loud and clear on the live session he performed on KEXP. Of course, that is not to say that everything on the album is minimalistic. In addition to composing some drum sections and percussion with a smartphone app called Funk Box, Lanegan tapped some assists. Most notable is his long-time producer Alain Johannes. The result is often an enveloping moodiness in tracks like Floor Of The Ocean or an electronic groove like the one that defines The Killing Season. Seventh Day and Death Trip To Tulsa are infused and informed by gospel and blues, two genres that define his earliest lyrical influences. As for the lyrics themselves, most of his work has become bits and pieces of dreams alongside interpretation of experiences. But what makes them stand out hasn't changed. Lanegan is unquestionably intimate in his ability to strike a chord of emotive desolation. When added to the five tracks that were originally released as a vinyl only offering, Phantom Radio and No Bells On Sunday make for a diverse and unforgettable 15-track experience. He might have originally called the five tracks from No Bells "too goofy" for a full length, but they somehow do a fine job complementing and completing the sparser set of ten on Phantom Radio. Phantom Radio By Mark Lanegan Band Tunes In 8.4 On The Liquid Hip Richter Scale. Capitalizing on his ability to create music that feels more substantial and significant than flash-in-the-pan pop, Mark Lanegan has created a benchmark album with Phantom Radio. It works both as a commutation of everything he has learned and as a benchmark of where he is today but may not be tomorrow. Either way, there is a personal wisdom woven into the words of his work. Phantom Radio is available on its own from Amazon or you can download the deluxe edition that includes No Bells On Sunday via iTunes. Visit Barnes & Noble for Phantom Radio on CD. 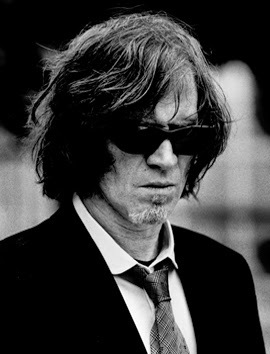 For discounted and used CDs featuring Mark Lanegan, visit F.Y.E. Tours and shows are listed on Facebook. There is a certain advantage in casting A Sudden Light in the pre-Internet era of the 1990s. There are no laptops. There are no cell phones. There is no Internet or search terms. On the whole, it creates a sense of isolation that some people have never felt and fewer and fewer people even remember. There was a time when those things did not exist. And for 14-year-old Trevor Riddell, it makes a trip with his father to the aging Riddell House all the more isolating. Set deep within a redwood forest near Seattle, the house where his aunt and grandfather live are among the last remnants of his family's timber-baron fortune. 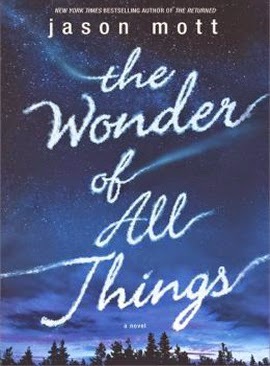 It's the kind of place filled with secrets for a "clever" boy to find them all. A Sudden Light is a story of family secrets, justified deception, and the supernatural. It is a story about a family that confronts its long-buried secrets as it struggles to reconcile its past in order to move toward an uncertain future. The mansion, constructed of giant whole trees and set on a huge estate overlooking Puget Sound, is as discounted from the rest of the world as its occupants. Waiting to welcome Jones Riddell home is his younger sister who stayed behind to care for their ailing father, Samuel. She has been waiting all her life for this reunion and an opportunity to secure ownership of the estate, sell the property, divide the profits, and live happily ever after. There is more than one problem with this plan. Jones Riddell may be welcomed by his sister, but his father seems much more uncertain. Something came between the two men years ago, a secret that caused Samuel to send Jones away for good. So while Samuel is suffering from the early stages of Alzheimer's, he rightly expects the visit to be a plot to usurp the estate and send him away. This idea isn't as easy as it sounds. Along with his own twisted attachment to the property, Samuel swears he can hear his late wife dancing in the upstair sballroom. She dances for him, he says plainly. She isn't the only spirit sighted. 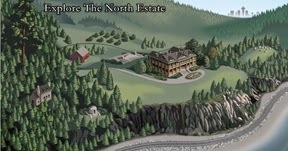 Ben, who is the son of original magnate Elijah Riddell, is said to be trapped on the estate as well. His spirit remains on the estate in the hopes of seeing a promise he made to his young partner, Harry, that balance would be restored to the land by transforming the entire estate into a reserve rather than selling it to developers with an intent to parcel the land into lots. Told through the eyes of Trevor, reflecting back as a adult, A Sudden Light challenges a teen who was raised largely separated from the weight of the Riddell family to become an inquisitive, reflective, and objective voice. It also provides the backdrop in recognizing the past may influence us but we must still come to terms with it in order to move forward because we often do not see things as they are, but as we are. A few more graphs about author Garth Stein. 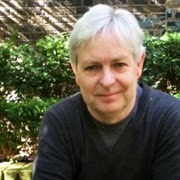 Garth Stein is the author of five novels, including the coming-of-age mystery A Sudden Light, which was written as an expansion of his stage play Brother Jones. He is best known for his bestselling book The Art of Racing in the Rain and the PNBA Book Award winner How Evan Broke His Head and Other Secrets. Stein's shorter bio cites that he has a dog, he's raced a few cars, climbed a bunch of really tall trees, made a few documentary films, and he lives in Seattle with his family. 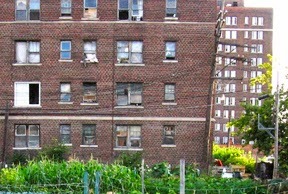 But beyond this thumbnail, the author was born and raised in Seattle before moving to New York City. He eventually returned and has since been responsible for helping found the nonprofit organization Seattle4Writers, which provides funding, programming, donations of free books to those in need. A Sudden Light By Garth Stein Chops 7.2 On The Liquid Hip Righter Scale. 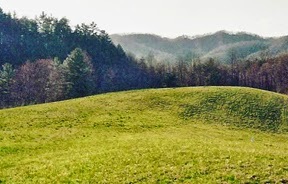 Although A Sudden Light has a supernatural element, the novel should not be confused with horror. Stein invests much more of his time in the human condition, multigenerational family ties, and the beauty of the natural world. 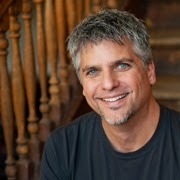 He employs the spiritual presence at Riddell House as a mechanism to connect the present to the past as opposed to attempting to frighten or fascinate. Any tension is given more to the living than the dead. You can find A Sudden Light: A Novel by Garth Stein on Amazon. You can also download A Sudden Light for iBooks or find the audiobook on iTunes. It is narrated by Seth Numrich, who provides the story with a gothic feel in addition to convincingly portraying Trevor Riddell as an adult looking back on himself as a bright teen. 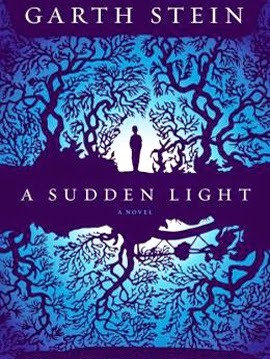 A Sudden Light can also be purchased at Barnes & Noble. Moose Blood didn't start out as much more than four friends drinking coffee and writing songs. They didn't write just any songs. The foursome from Canterbury, England, had a flair for writing emo lite. Attaching "lite" to the emo moniker isn't an insult. Moose Blood picks up where emo left off in the nineties and then gives it a bit of a British pop twist. Even the opener, Cherry, sets the band up as something different by leading with a ballad. The emotive lament of lost love might be characteristic of emo, but the way Eddy Brewerton delivers his haunting harmonies is considerably more polished. It sounds pretty clear that the band is hoping to guide you someplace different. There's a sensitivity here that not every indie band can cover. I'll Keep You In Mind, From Time To Time. After the soft open guided by not much more than a rhythm guitar and vocals, the band opens up with the faster-paced followup Always. 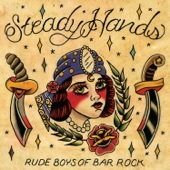 Anyone who heard the band's debut EP last year will find Always familiar. All that's different is the production polish: a considerable improvement. Once you're a few tracks deep, Moose Blood really turns it up. I Hope You're Missing Me breaks away from emo lite and into something much more formative as a standout alternative rock song. Of the music videos released so far, I Hope You're Missing Me is the most striking in its accessibility. The track is mostly about the strain placed on relationships and how they always feel better early on. Moose Blood makes the case that those who can remember those better days are likely to make it. Swim Down, which was released in advance of I Hope You're Missing Me, supports this idea too. The primary difference, lyrically, is that it's very clear who is putting additional strain on the relationship. Specifically, it's about a guy who goes out drinking instead of sticking with his her. When she call him on it, he promises to buck up and listen to a Nirvana album with her again. At first blush, the lyrics in Swim Down are authentic despite their thinness. The best aspect of the song is the build up before the song releases its tension and takes off. You can find this arrangement in Pups too, which is a much better track. Two other standout tracks include Boston and Bukowski. Both were put out on earlier releases, but the re-recorded arrangements provide a superior sound. Both tracks are largely improved, even if Boston is a bit weak in the lyrics and Bukowski leans on another name drop or two. These songs make up for it in the instrumentals and vocal delivery. It doesn't always matter what Brewerton says at times. He sounds good saying it, loading it up with conviction no matter what it might be. In Gum, for instance, he emphasizes watching American Beauty in the dark and lays it down as if that is the single most meaningful thing that could possibly be said. For real. Even Brewerton admits the "what" being watched or listened to is trivial and more of a symptom of his own love sickness but inability to admit it. And therein lies one of the interesting things about the band that makes some of their tracks stick. They sometimes say nothing, but that nothing means something. After the rollicking Kelly Kapowski, the band ends with the slow burn I Hope You're Miserable. It's pretty standard emo fare, but Moose Blood proves it has plenty of chops to deliver the goods (not that anyone needs convincing after listening to the other ten tracks). Only Chin Up can be skipped. 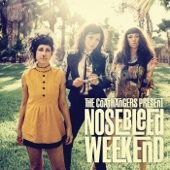 Sure, this album can be summed up as being the typical binge of booze, broken hearts, and burnout. But there is something in the way they've assembled it that makes I'll Keep You In Mind, From Time To Time oddly listenable over and over. What's that recipe? One part fresh, two parts nostalgic. I'll Keep You In Mind, From Time To Time Ticks 6.8 On The Liquid Hip Richter Scale. Moose Blood has progressed a few thousand miles between this album and their debut EP. By their next album, it's not unfeasible to expect they'll find the same success stateside that they've already found in the United Kingdom. It won't necessarily be because anyone needs an emo revival so to speak. It will simply be that they lay down great music, with fewer and fewer name drops. You can download the album from iTunes or find I'll Keep You In Mind, From Time to Time on Amazon. You can also find I'll Keep You In Mind, From Time To Time at Barnes & Noble or at a discount from f.y.e. 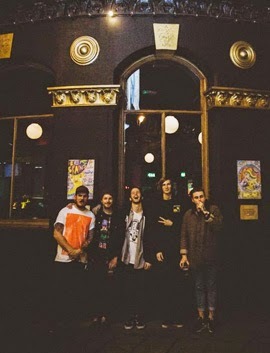 For more on Moose Blood, check them out on Facebook. The Shop may have introduced former Navy Seal turned assassin Cyril Landry, but it's the second installment by J. Carson Black that begins to ground him. This thriller picks up three years after Landry had a change of heart that transformed him from a hired gun into a solo investigator. Since then, he has taken advantage of his presumed death and built a life well off the grid. In the morning, he works at a horse ranch. In the afternoon, he catches a glimpse of his daughter Krystal from a distance after school. Neither she nor her mother, Cindi, know that Landry is alive. They have both mourned him and moved on. His regret is painful and apparent, but Landry had no choice. His death was their assured life. Hard Return is a straightforward smoking gun thriller. Landry would have been content to carry on this way for a few more years, but his plans change when a shooter, dressed in black and loaded up with body armor, begins to unload an M-16 on students as they exit the school and spill into the parking lot. Landry, knowing it will take several more minutes before law enforcement arrives on the scene, decides to take action into his own hands as the gunman fires indiscriminately at students exiting the school before abruptly turing back around toward those in the parking lot — including Landry's daughter. As the gunman makes his way toward his daughter, Landry opens the back doors of his van and centers his sniper rifle on the back the gunman's neck. Meanwhile, Krystal;s boyfriend encourages her to climb under the car before following suit and positing himself as a human shield between her and the shooter. The report of the M-16 is loud. The single round from the sniper rifle isn't. The shooter immediately crumples like a marionette with its strings suddenly cut. Krystal is still alive, but her boyfriend Luke is not. The boy Landry had quietly maligned for kissing his daughter just moments ago is dead. So are seven other students, with dozens of others wounded. Suspecting someone might be trying to draw him out, Landry begins his own investigation. As he rules out several other students as possibly connected to the atrocity, he comes closer and closer to the realization that not only was his family the target, but they are also still very much in danger. Landry has no choice but to put his family into hiding and find the people responsible. Except, there is another problem. Shortly after Landry contacts his brother to put his family under the protection of an old friend, Krystal and her mother disappear with Cindi's fiancé. Landry has no idea where he might have taken them. A few graphs to introduce author J. Carson Black. 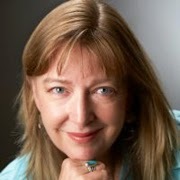 Best known for her detective Laura Cardinal crime thriller series that became a New York Times and USA Today bestseller, J. Carson Black has written sixteen novels across several genres. Her newest series brought anti-hero Cycil Landry to life as an Amazon Kindle bestseller. Although Black earned a master’s degree in operatic voice, she was inspired to write a horror novel after reading The Shining. As she continued writing, she found a home writing crisp, tight thrillers and police procedurals. Pick them up any time you want to be entertained. Hard Return By J. Carson Black Hits Home At 5.4 On The Liquid Hip Richter Scale. In Hard Return, the story is largely a a straightforward page turner. It's entertaining, even when it is expectant. Some of the twists feel forced and some leads go nowhere, but there is something oddly likable about the analytical, short-spoken and distant Cycil Landry that is addictive enough to overlook little annoyances like contradictions and repetitions. 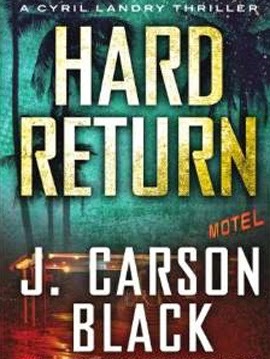 Hard Return (Cyril Landry Thriller) by J. Carson Black is available on Amazon. You can also find the audiobook on iTunes. Christopher Lane narrates with a convincing and leveled pitch. He becomes as much Landry as the words on the page. When Bass Drum Of Death (BDoD) originally put out GB City several years ago, the whole of it was recorded by John Barrett using whatever instruments he had on hand and a few USB microphones. He produced it all and promoted it too. And, he might have stuck with his original arrangement — touring with a guitar and bass drum — had Colin Sneed not stepped in to assist with big bad drum beats. The band then added Trent Choteau to make it all the more noisy for their self-titled full length. Since then, however, Barrett has changed up the lineup to include collaborator Len Clark. The newly formed duo quickly went to work on new material while touring with the Unknown Mortal Orchestra. They even convinced Unknown Mortal Orchestra bassist Jake Portrait to produce their third album. With a few rough demos in tow, the three of them banged out Rip This over two weeks at Prairies Sun Studios in Sonoma County. The idea was to make a progression. They doubled down instead. 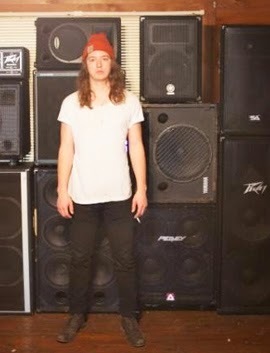 Rip This fires up more garage buzz rock from BDoD. If there is anything to listen for it is the effort Barrett has put into making the music more accessible. The goal here seems to be bringing heavier hook-laiden guitars, kinetic drums, and dorm room swagger back into the mainstream. The title says it all. Don't overthink it. Just let it rip. On the best tracks, Barrett and Clark make their case. 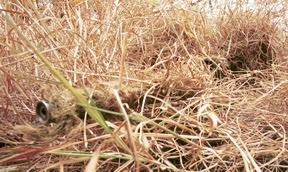 Most of it is made up of crunchy trash rock with big blues influences. For Blood begs to be blasted for its early punk punch. Never mind that it's about a hangover and Barrett wanted to sneak in a quiet-loud-quiet track amongst the usual loud-loud-loud. For something more searing, turn up Left For Dead. The tune and accompanying video is especially fitting for the new label location in Los Angeles. The Tarantino treatment and nip and tuck theme rips along nicely. So does Sin Is In 10, which drops the treble for a heavier rock throb that's only broken by the guitar screeches and solos. The track has a smoky groove about it, leaving Barrett plenty of room to bellow about the circumstance. From that midpoint in the album, BDoD drifts through influences that include an assortment of garage rock pioneers and greats. None of them are knockoffs per se. Barrett tends to make his music on the fly, settling into grooves not because he remembers them but because he feels them well up in his veins. Some standouts include the fuzzed-up and woozy Black Don't Glow and the amped up alternative Lose My Mind, a stripped-back near ballad that may give a nod to a songwriter on the other side of the pond. Combined, it seems BDoD is looking to capture some new listeners from a smattering of other niche rock audiences. Even if the band has suggested a desire to tap into something more mainstream, it's won't be made up of the typical masses but rather many niche parts to make up a new one. In much the same way BDoD were introduced to NASCAR fans and Grand Theft Auto players on previous albums, the band will certainly add fans as it crosses the country on tour. Rip This By Bass Drum Of Death Roars 8.1 On The Liquid Hip Richter Scale. If someone is to find any criticism in the album, it might be that even the standout tracks sometimes sound as just more of the same. Others are more inclined to hang onto the nuances of great music and find a suitably diverse album with ten great tracks. Sure, none of them necessarily stand out from each other, but it still beats those days when bands crafted two solid songs to sell a set on disc. You can find Rip This by Bass Drum of Death on Amazon. The album can also be downloaded from iTunes. You can also find the Bass Drum Of Death at Barnes & Noble or at a discount at FYE. Don't expect to find James Bond inside the short and sublime novel Expo 58 by Jonathan Coe. The book reads like a bittersweet short story and is expressly subtle in its presentation. 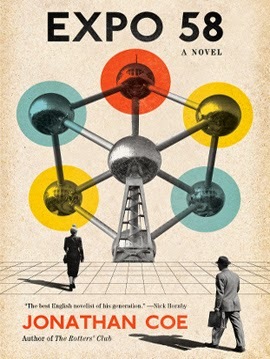 At its center is Thomas Foley, a writer/clerk employed by the British Central Office of Information who is assigned to oversee a British pub being set up at the Brussels World Fair a.k.a. 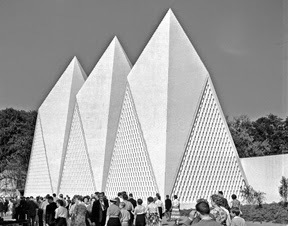 Expo 58. He was the most sensible choice. His father owned an English pub and his mother was born in Belgium. Expo 58 is a delightfully light and low key spy story. The significance of the assignment cannot be understated. It was the first fair to be organized after World War II in an effort to demonstrate that everyone was ready to move beyond the global conflict and work together. And yet, most countries involved saw the expo as an opportunity to work apart. While held at a time of relative peace, the Brussels World's Fair was also held near the height of the Cold War. The Russians had a slight upper hand on the world stage, having already launched Sputnik 1 into orbit and poised to demand that Western powers evacuate any forces from West Berlin. The expo itself was also an anomaly in that it brought the people of the world together to live in an artificial community without any clarity as to how long they would live together in such a spectacle. Of course, it also created the perfect environment to execute covert operations in plain sight. Foley doesn't catch onto any of it immediately. He is too busy being wrapped up in the idiosyncrasies of his countrymen, the international popularity of the stereotypical English pub 'Britannia,' and the alluring prospect of a Flemish hostess named Anneke (despite having left his wife and a colicky child back home). All of these things seem to hold his interest, that is, until Foley's roommate vanishes after a night of excessive libations. Worse, the infamous ZETA machine is missing along with him. Expo 58 evolves to become an amusing anti-Bond thriller. It quickly become clear that Foley has very little in common with the character James Bond. The central intelligence business is much more disarming. While his assumption that the Russians have kidnapped his roommate or that his roommate might have defected are inaccurate, his observation lands him his first covert assignment. He is ordered to temper his affections for Anneke and instead focus them on American actress Emily Parker. Parker, it seems, is the real target. KGB agent Alexei Chersky, posing as a Russian journalist, has seduced her with the intent to convince her to defect. For duty and love of country, Foley is asked to do whatever it takes to woo her away. A couple quick graphs on author Jonathan Coe. English novelist and author Jonathan Coe is a master at writing expressly comic political stories with playful and engaging versatility. Coe is also the author of The Winshaw Legacy and nine other novels. His many prizes include the Everyman Wodehouse Prize and the Samuel Johnson Prize. Coe was born in Bromsgrove, Worcestershire, in 1961 and eventually studied at King Edward's School, Birmingham, and Trinity College, Cambridge. He also taught at the University of Warwick, where he completed an MA and PhD in English literature. Expo 58: A Novel By Jonathan Coe Sneaks 8.4 On The Liquid Hip Richter Scale. His work in Expo 58 will delight and frustrate some readers. They will be delighted because there is no question that Coe is a gifted writer and the story is couched in a whimsical Hitchcock feel. They may be frustrated in that the story progresses to an anti-climax before ending on a life-spanning epilogue of sorts, which leaves the story gasping in regret instead of resolution, humorous or otherwise. Expo 58: A Novel By Jonathan Coe can be found on Amazon. The audiobook Expo 58 can also be found on iTunes. It is narrated by Napoleon Ryan, who brings just enough seriousness to the read to retain the author's intent. The constant smirk inside Expo 58 is meant to read both ways. Expo 58 can also be found at Barnes & Noble. Coming together as The Rural Alberta Advantage in 2005, singer-songwriter Nils Edenloff, percussionist Paul Banwatt, and multi-instrumentalist Amy Cole have made some steady progress since their self-titled debut. 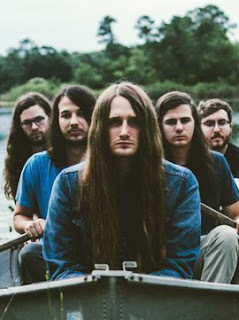 Expect to see more than a few critics point to their newest release, Mended With Gold, as the elusively near-perfect alternative folk rock they have been striving to achieve. On the whole, Mended With Gold is a fast-paced and briskly nostalgic album, with an undeniabe flair as untamed as it was when Edenloff started to write it last spring. On the advice of friends, he rented a remote cottage up in the Bruce Peninsula, which is several hours northwest of Toronto. "It turned out to be a pretty terrifying place to be alone with your thoughts — locals told me to watch out for black bears, the heat wasn't working and at night it sounded like the cottage was surrounded by wolves," says Edenloff. "I slept with a pocket knife at arm's reach." Looking back, Edenloff laughs at some of the lines his seclusion inspired. He even attributes much of the track To Be Scared to his memory of the location. He didn't work on it at the cottage, but all the memories he had of it. The first night was especially wearisome when he arrived there, all alone, well after midnight. The song itself, one of Edenloff's favorites, is uncharacteristically sparse compared to much of the album. His voice cracks more than the twangy quakes that characterize the bigger, fuller compositions. Terrified, in particular, is a riveting ramped-up exploration of unaffected lovers. The song itself is one of several that were written fresh and road tested while on tour. As the band toured, they adjusted the song based on live reactions from the audience, which their sound engineer recorded every night. They dissected every section, from the hum of the guitar to the bass line before ever making it into the studio. The studio version was also one of three tracks the band premiered at Massey Hall last July. 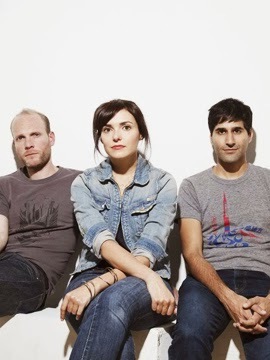 It plays alongside proven tracks like Luciana and Tornado '87, that helped put The Rural Alberta Advantage on the map as something more than a scrappy indie band. There are plenty of places to feel the pain and promise of such events. On The Rocks, a song that the band has been reworking for a long time, brings this theme to life with its well-worn and weary rumble and an emotive imperfect croon from Edenloff with Cole backing to make it an informal duet. The pain of it is the relationship ending. The promise is the acceptance of it. It's one of several tracks where the sentiment sneaks up on the unsuspecting — people who put too much faith in convention and complacency. But in keeping with the theme, Edenloff and company say that it's all part of life, giving Mended With Gold a uniquely courageous feel. The entire album is worth a listen, but standouts include the bolstering Runner In The Night, the dashingly urgent All We've Ever Known, the soars and breakdowns of The Build, and the sober, straightforward Vulcan, AB. If nothing else, the latter track will hook you to this band. Mended With Gold By The Rural Alberta Advantage Strikes 9.0 On The Liquid Hip Richter Scale. Mended With Gold is an intentionally near-perfect album crafted out of imperfect tracks that have been broken and then mended with a clear regard for indie rock. With its rootsy undertones and insatiable swagger, The Rural Alberta Advantage has discovered a bit about life in trying to understand themselves. It's often soaring and intimate at the same time. You can find Mended With Gold by The Rural Alberta Advantage on Amazon or download the album from iTunes. You can also find Mended With Gold at Barnes & Noble. For tour information, visit the band on Facebook.